Lauren Iannaccone’s broad range of experience in complex commercial transactions allows her to respond to significant emergent matters and assist clients efficiently and effectively. Lauren’s litigation experience includes orders to show cause, shareholder disputes, professional malpractice litigation and intellectual property infringement disputes. She also assists entities in restructuring their businesses with a myriad of compliance issues in mind, including the Foreign Corrupt Practices Act. 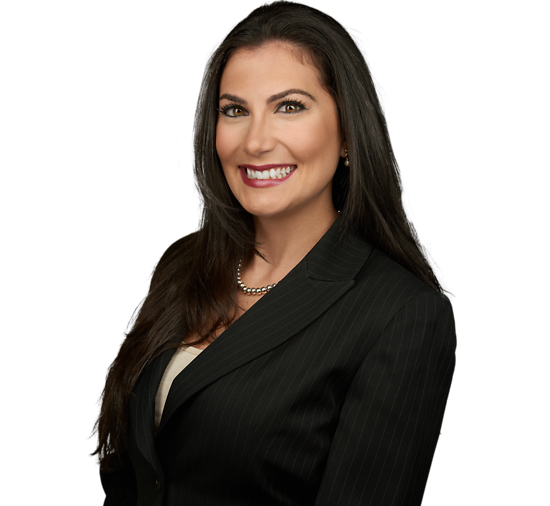 When it comes to litigation, Lauren’s wealth of experiences makes her an asset to her client’s team. She takes great pride in understanding a dispute, its complexities and nuances, and formulating a tailored litigation strategy to meet her client’s needs. She has represented clients through all stages of litigation at both the trial court and appellate division levels, and has litigated cases in New York, New Jersey and in federal court. Lauren graduated college in the top 7% of her class with dual departmental honors, a double major and a minor, and was offered entry into Phi Beta Kappa. She was awarded an academic scholarship to Washington and Lee Law School, where she earned the prestigious Burk Scholar title and was a Jacobson Trust Fellow. Before entering private practice, Lauren served as the law clerk to Presiding General Equity Judge Stephan Hansbury. She also interned for Judge Thomas Weisenbeck (A.J.S.C. Ret. ), the Assignment Judge for the Morris and Sussex Vicinage. Lauren’s past employment experience includes working at the boutique mortgage asset protection law firm, Talcott Franklin. assisting with a variety of H.R. issues. Presenter, Business for Breakfast Program: "2019 Employment Law Update and To-Do Checklist"
Presenter, "Business for Breakfast Program: 2018 Employment Law Update and To-Do Checklist"